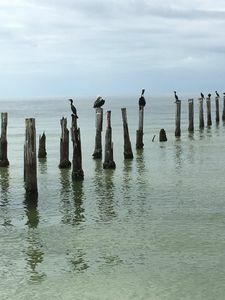 Welcome to Pelican Watch 306. 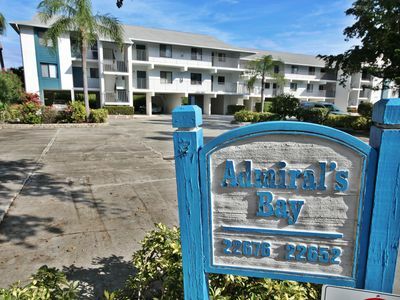 Located at the north end of the island you will love the conveniences Unit 306 offers. 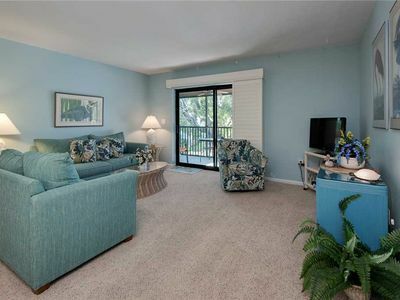 This charming, third floor, direct oceanfront, two bedroom, two bath corner condo will have you relaxing in no time. Enter into the secure building and take the elevator to the third floor. Open the door to start your vacation here in Paradise. 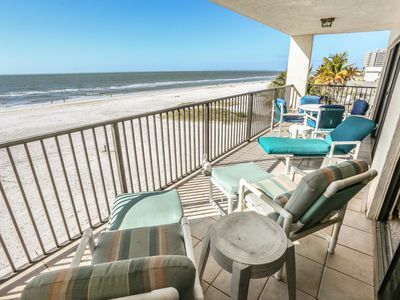 Your eyes will immediately be drawn to the beautiful views of the Gulf of Mexico that welcome you to your new home away from home. 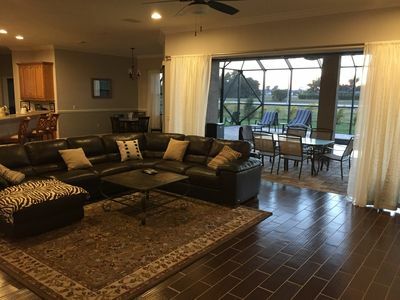 Immediately to your right is a fantastic sitting area with a large picture window looking out towards the Gulf and Estero Blvd. 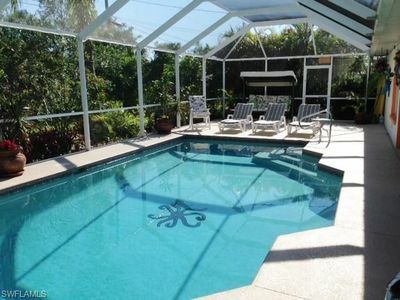 This area offers a peaceful retreat away that's somewhat secluded from the rest of the condo. 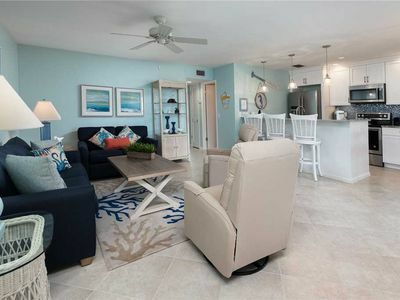 Along with comfortable seating, you'll also find a sleeper sofa for an additional sleeping area for two guests if needed, and a desk area for those whom may need to get a little work done while on vacation. Traveling down the hallway on your left are the guest quarters. A king size bed, that can be converted to two twin beds, along with an in-room TV, and plenty of dresser and closet space ensure your guests are well taken care of. A full bath with a tub/shower combination can be found in the adjoining hallway for everyone?s convenience. To the right of the guest bedroom is the large, open concept kitchen. The owner has stocked this kitchen with almost everything you could possibly need for preparing your meals. 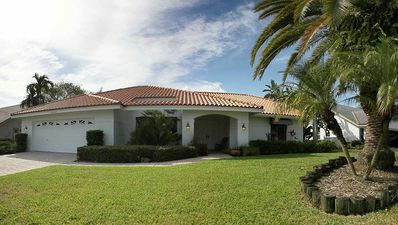 Newer appliances, a dishwasher, breakfast bar and captivating views will have everyone wanting their turn in the kitchen. 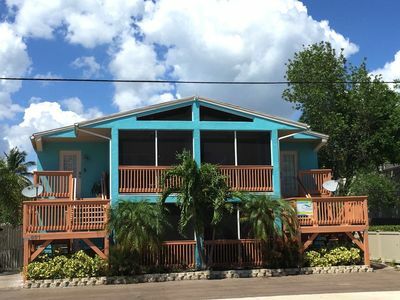 There are many dining options available to you while staying at Pelican Watch 306. 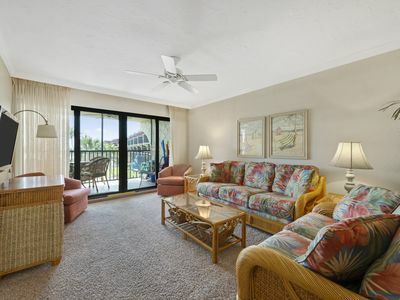 A formal dining table seats four inside comfortably, the breakfast bar at the kitchen counter accommodates for four more, and there is also an outside dining table on the lanai overlooking the beach below. Heading into the living room there's a comfy recliner, leather couch and loveseat along with a flat screen TV for your viewing pleasure. 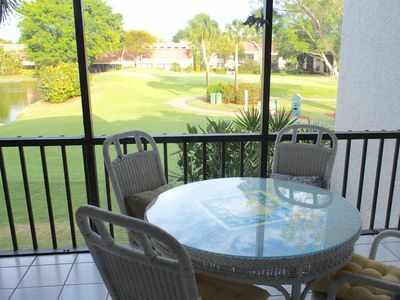 However, the real views are those right outside the wall of sliding glass doors leading out to your balcony. 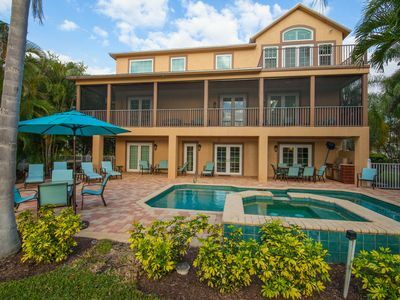 Sitting above the trees you have a bird's eye, panoramic view of Fort Myers Beach, Sanibel and even as far to the south as Naples. 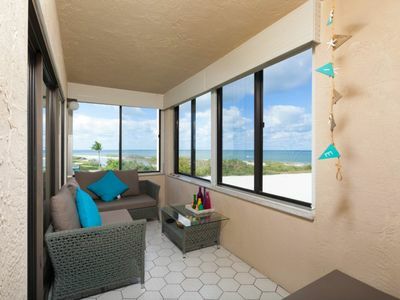 The balcony is sure to be your favorite spot in the condo. Spend countless hours watching the daily happenings of beach life below. Enjoy our one-of-a-kind sunsets with that special someone in your life, creating memories that will last you a lifetime, right from the privacy of your condo. Various seating options are available here for you to relax. 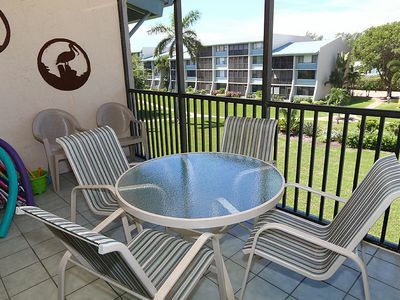 Curl up with a good book in one of the comfortable chairs or soak up the Florida sunshine in the lounger. At the end of a fun filled day at the beach, retire to the master suite with a king size bed, in-room TV, and private entrance to the balcony. Sneak out to the balcony from your bedroom without disturbing your guests for some late night star gazing. Wake in the morning to the sun glistening off the Gulf waters. Take an invigorating shower in the spacious walk-in shower to start your day. Please note for our guests with allergies this condo is both smoke free and pet free. 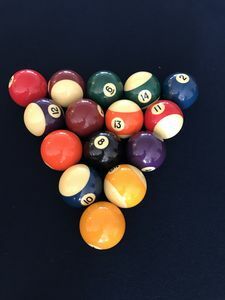 Also included with your stay is your own private in-condo washer and dryer, wireless internet, and under building designated parking spot. 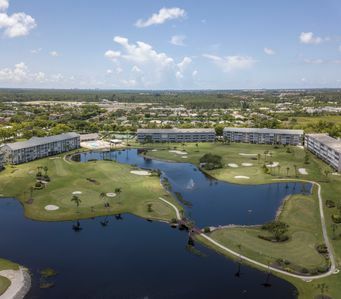 The condo association at Pelican Watch only allows for full monthly rentals December through April and bi-weekly rentals May through November. 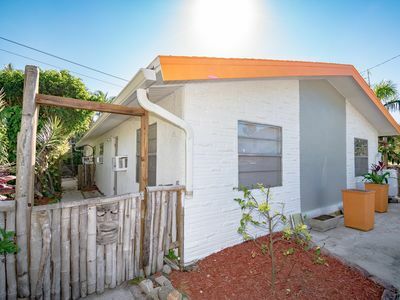 We would love to rent for less time but are unable to. Heading outside you will find seven miles of white sugar sand beach and the warm Gulf waters waiting for you. Grocery shopping couldn't be more convenient with Topps located directly across the street from Pelican Watch. Restaurants and shops are just a short walk from the condo in either direction. 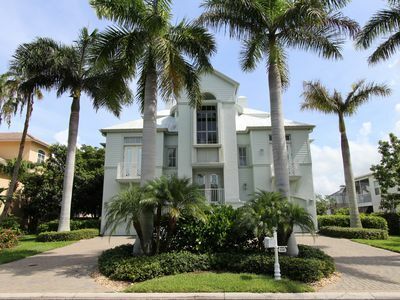 The Fort Myers Beach Library and Bay Oaks Recreation Center are only a block south of the condo for your enjoyment. Head north to Times Square and explore the numerous boutiques picking up some island mementos to take home and back to friends. Enjoy lunch or dinner at one of our great island restaurants or take in some of the fantastic local beach bands the island has to listen to. For the adventurous jet ski and parasailing rentals are a short walk down the beach. 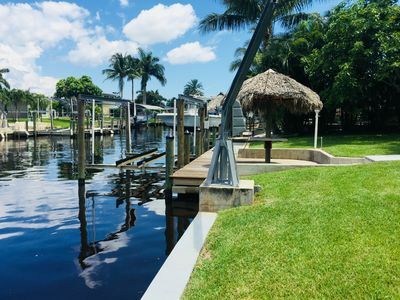 Come and experience all that Pelican Watch 306 has to offer. You'll be counting the days until you can return again! Sandarac 610A - Weekly - Gorgeous Views - 6th Floor - Directly on Beach - Free Wifi - Great Kitchen! 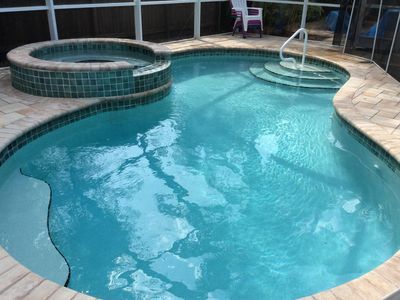 Amazing Pool Home with Lani and Hot Tub Near Times Square and the Beach.